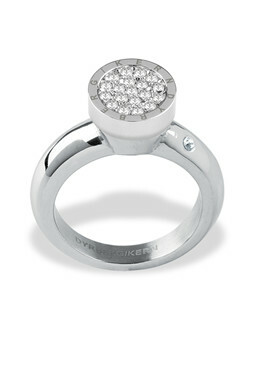 From our Compliments collection in stainless steel: Design your own ring with the PURE topping. 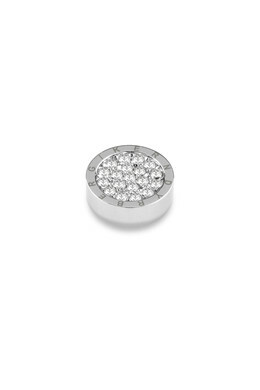 A petit, button-shaped topping adorned with pavé set crystals. Shown here in silver toned finish and clear crystals.